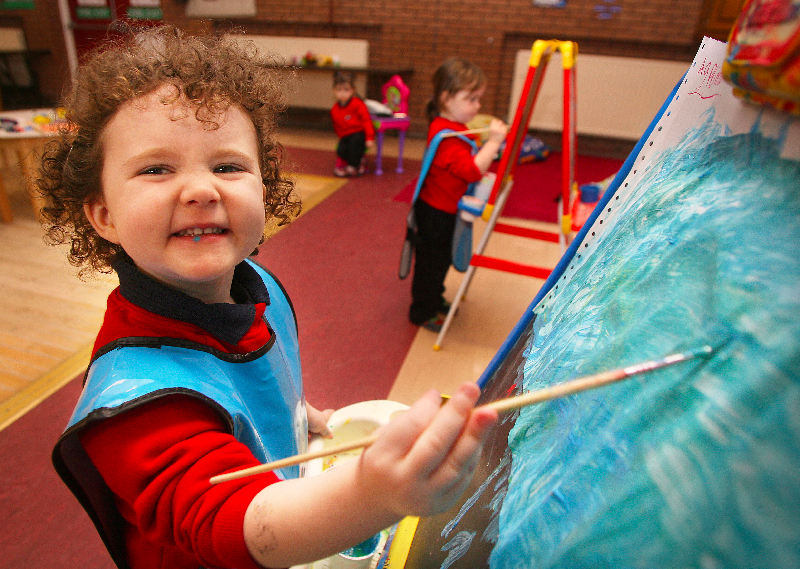 The Minister will be at the 174 Trust on the Antrim Road where the naíscoilis located to officially launch a new ground breaking creative playspace at Naîscoil an Lóiste Úir. 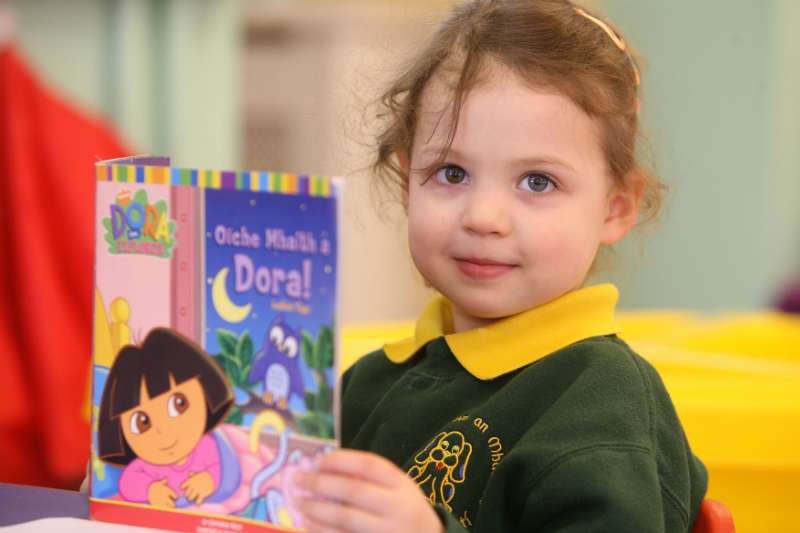 Iontaobhas na Gaelscolaíochta ensures áit shúgartha for the children of Naíscoil an Lóiste úir. 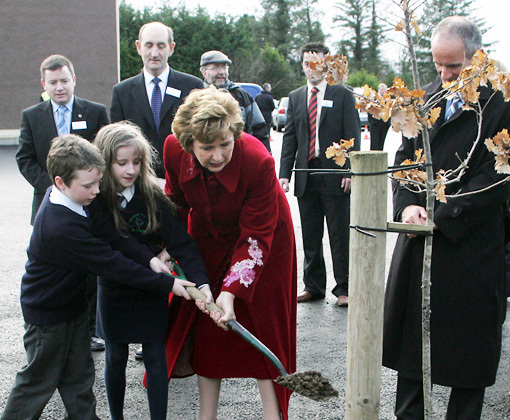 ‘Seal súgartha’ is a pilot project in which children from the Naíscoil along with parents and staff were involved in the planning and design of it. The resultant creative playspace will not just enhance the physical enviroment but will also have a tremendous educational impact. As well as being visually eye-catching and innovative the playspace will also allow children to grow vegetables and plants and to study the process of growth. 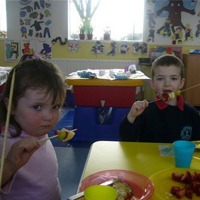 ‘Seal súgartha’ was sponsored by InaG, the Irish-medium Funding Body and funding for the playspace was provided by the Paul Hamlyn Foundation. While the official launch by Education Minister Caitríona Ruane at 1.00 on Friday will be the highlight of the events the morning will also see a workshop on the issue of Creative Playspaces. Those involved in the Naíscoil an Lóiste Úir playspace will share their experiences of the pitfalls, challenges and rewards of this pilot project. They will also explore the issues around creative playspaces and it’s benefits for children and for education. Speakers include ALTRAM, Playboard and local artists. Cuireann Iontaobhas na Gaelscolaíochta áit shúgartha úrnua ar fáil do Naíscoil an Lóiste Úir. 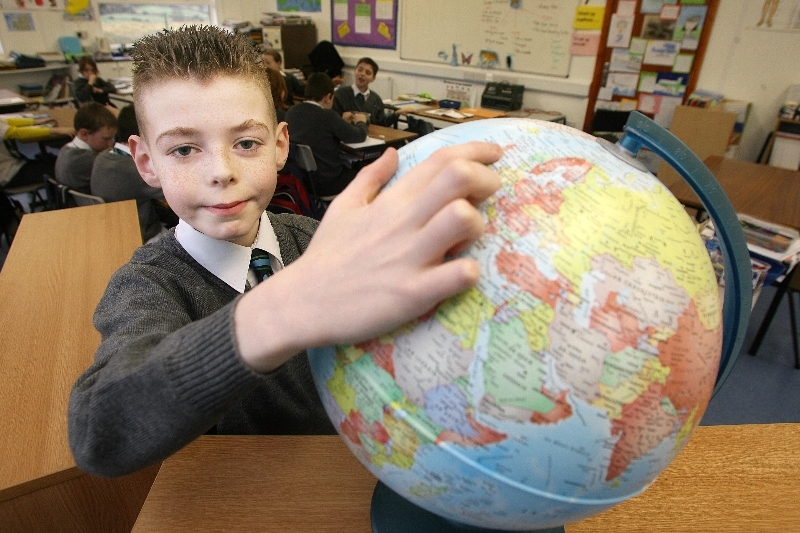 Tá Seal Súgartha ag ghabháil a bheith ag páistí Naíscoil an Lóiste Úir mar gheall ar thacaíocht Iontaobhas na Gaelscolaíochta. Tógfaidh an tAire Oideachais, Caitríona Ní Ruadháin sos óna cúraimí i Stormont le súgradh a dhéanamh san áit shúgartha nuachruthaithe de chuid na naíscoile i gceantar an Lóiste Úir. Beidh an tAire ag Iontaobhas 174 ar Bhóthar Aontroma áit a bhfuil an naíscoil suite, leis an Seal Súgartha a sheoladh go hoifigiúil. Ní amháin go rachaidh áit shúgartha cruthaíoch na Naíscoile chun feabhas na timpeallachta ach rachaidh sé i bhfeidhm ar oideachas na bpáistí. Chomh maith le bheith tarraingteach agus nuálach beidh an ait shúgartha ina gairdín foghlama do na páistí ina bhfásfaidh siad glasraí agus plandaí; rud ar a ndéanfaidh na páistí staidéar. Cé go mbeidh an seoladh oifigiúil ina bhuaicphointe ar na himeachtaí, reáchtáilfear ceardlann fosta ar an téama ‘áiteanna súgartha cruthaíocha’ maidin an tseolta. Beidh na daoine a ghlac páirt sa tionscadal ag roinnt a gcuid eolais agus taithí lena mbeidh i láthair. Pléifidh siad ceisteanna ábhartha agus na buntáistí atá ann d’oideachas na bpáistí. Ag glacadh páirte beidh ALTRAM, An Bord Súgartha agus ealaíontóirí áitiula. Rinne Iontaobhas na Gaelscolaíochta agus Fondúireacht Paul Hamlyn comhurraíocht ar an áit shúgartha.